Ingredients: Balsamic Vinegar of Modena with cook- grape Lambrusco and Trebbiano with addition of wine vinegars. Description: 1 medal = 2 years ageing. 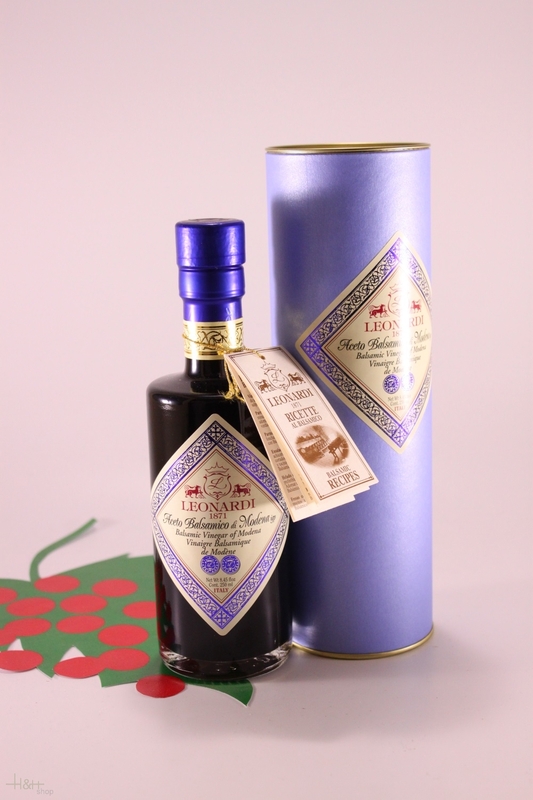 This Balsamic vinegar of modena whit 2 medals is aged for 4 years in different wood barrels. Matching: mixed salads, raw or cooked vegetables, white meat, boiled fish, omelette, vinaigrettes and marinades. Glenfarclas 25 Years Old GB 43,00 % 0.7 l.
Saba (cooked grape must) 250 ml. - Acetaia Leonardi 14,36 EUR / 57,44 €/lt. Balsamic Cream Black Classic Torrione 250 ml. - Carandini 7,60 EUR / 30,40 €/lt. 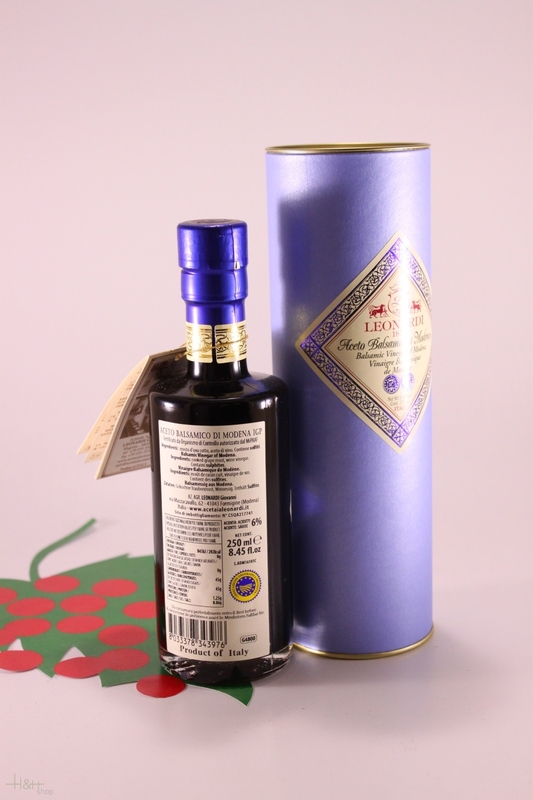 Balm vinegar Balsamico di Modena PGI Imperiale Torrione 500 ml. - Carandini 12,90 EUR / 25,80 €/lt. Balm vinegar Balsamico di Modena PGI Argento Antica Acetaia 250 ml. - Carandini 25,80 EUR / 103,20 €/lt.